You waited at the lair for them to come home. 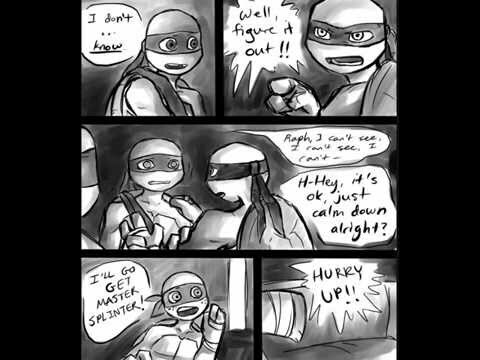 Raph had gone out to find Leo. When they got back Leo told them how to wake Mikey up. You saw him walk off as Mikey woke up. "Don&apos;t scare me like that pal!" Raph said, hugging his younger brother. "Dude...I had the weirdest dream." Mikey said. You saw Donnie walk over to Leo. You watched them both as Raph stayed with Mikey. Leo looked a little startled by Donnie as he came over to him. You couldn&apos;t hear what they were saying, but soon Raph and Mikey noticed something was wrong too. Leo said something to Donnie and Donnie gasped in shock. Suddenly Leo lost his balance and Donnie caught him. You and Raph rushed over. "What the heck&apos;s going on!?" Raph demanded. "I don&apos;t know! 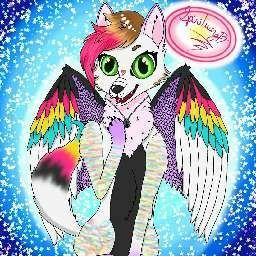 I don&apos;t....know." Donie said. "Well figure it out!" Raph snapped back. 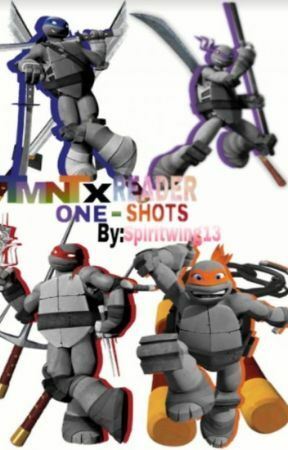 "R-Raph...I can&apos;t see! I can&apos;t see! I can&apos;t-"
"Hey, it&apos;s okay. Just calm down, alright?" "I&apos;ll go get Master Splinter!" Mikey said, hurrying off. "Hurry up!" Raph called after him. "G-guys...I&apos;m scared." Leo said. You frowned. "I-I don&apos;t understand. W-why is this happening? Why-"
"Leo," You began. He stopped at your voice. "breath." You instructed. "You&apos;re gonna be okay." He took a few deep breaths to calm himself. You held his hand gently. "Don&apos;t worry bro. We&apos;re gonna help ya." Raph said. He nodded. "R-right. O-okay." He said, calming down a little. You all helped him to his room and Donnie asked you to leave so he could help Leo. You obeyed. You waited outside as they helped their eldest brother. You soon saw Donnie, Splinter, and Mikey come out. "He&apos;s asleep for now. We put bandages over his eyes. I&apos;m going to see what I can find out." Donnie said. Mikey sat down next to you with a sad and worried look on his face. Splinter seemed deep in thought. Donnie went to his lab to begin his research. Soon, Raph came out. You saw him head to the dojo without saying a word. You frowned. You followed him and you saw he beating up the training dummy. You slowly walked over. "What?" He snapped with a glare. You flinched. He frowned, realizing he&apos;d frightened you. "Sorry (Y/n). I just-...ugh! What the heck is happening!? Why is this happening?" He asked. "I don&apos;t know, but we&apos;re gonna fix it. It&apos;ll be alright." You said. He sighed. "I hope you&apos;re right." He replied. You went in with Raph. He carefully woke him up. "Hello? Donnie? Mikey? Raph?" He exclaimed, clearly scared. "Leo, calm down will ya? You&apos;re fine." Raph said. Leo calmed down and sighed. "Sorry..." He said. "Has Donnie figured out the...problem?" Leo asked. "He said he might know the cause. At least we hope so." Raph said. There was a knock on the door. You saw Mikey and Donnie come in. "Oh good. You&apos;re awake." Donnie said. Mikey hurried over to Leo. "So dude, when you came in with red eyes you weren&apos;t actually crying?" Mikey asked.